Your camera phone with its camera can do so many things you knew not that it can actually do. Some of us only snap pictures with their camera phone and they think that's where the use of camera ends in a mobile phone, not knowing that there are lots of amazing things only a camera embedded in a device can do. Today, I will unveil the things which you can actually do with your phone's camera. Before showing you the 12 amazing things your phone camera can function as, let's know a brief history concerning the first phone camera to be in existence. Camera is simply a feature embedded on a mobile phone that has the ability to take or capture photographs of anybody or thing. it could be used to capture an organised posture of group of persons, and so many other things you so wish to snap with it. The first camera mobile phone was sold in the year 2000, and where it was sold, was at Japan. The name of the mobile device as of then, was J-Phone Model. But, as a matter of fact, some still argue that the SCH-V200 and that of Kyocera VP-210 Visual Phones, are the first camera phones, as they were introduced earlier in that same month, as it was said by the arguers. But, never the less, let's get down to the amazing features, your phone camera can do, without you having the slit knowledge of it. Once you have the Google translator installed on your device probably, Android smartphones or iOS devices. And you come across any language in form of text or symbol written on any where, may be on paper or book. Just launch the Google app translator and click the camera icon in the app. Now, your camera should start scanning while you place it where you want it to scan and translate probably the text. Then, the Google app while translating the text uses optical character recognition (OCR) to automatically interprete what you want to translate. That's it, although it is not perfect but trust me, it will surprise you. This can be very easier than the Google translator that requires you to type in your text before it can interprete it. Although, the one that requires you to type in the text has many languages than that of the camere type, (103 vs 29) respectively. Other applications that works in same manner are TextGrabber + Translator and also WayGo. All works on Android and iOS devices. Have you been required to scan and send your document to companies, institutions, and any organization, probably for Job, or scholarship applications etc through email or to be sent to the cloud. With your phone's camera right there with you and with any document scanning app being installed on your smartphone, that means you can achieve that so easily. The apps that can see you through, having that your phone's camera is intact are as follows: Evernote app and Scanbot app are meant for iOS users, while Google drive is for only Android users, and CamScanner for Android and iOS users. So, instead of going to cyber cafe or using a traditional scanner hardware, this very apps and your phone's camera can serve. Note, the scanned document can also be converted into editable text. That's all for that, try it out, its cool. image that is on user's view for the real world, and it gives a composite view. So, star gazing is found to be one of the apps of augmented reality. Now with this app called SkyView, which is meant for Android and iOS devices, you can point your phone's camera to the sky and in return, it will pick out stars, with constellations and other more things added. As this is done without the use of telescope. How awsome that can be. 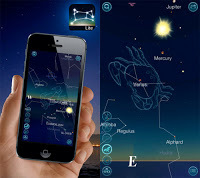 There are other star gazing apps and they are; Wikitude app, this particular one is meant for Android and iOS devices. Another app is Blippar, also work on Android and iOS devices. 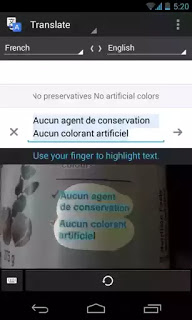 In this section, with your camera, you can be able to search Google with pictures or images, instead of going by typing text. This can be educative and fun catching. 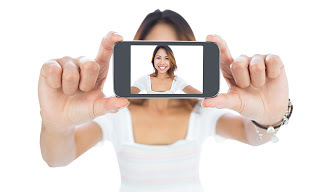 There are several search apps that can allow you to snap a picture using your phone's camera and after that, they enables the picture to be used in searching on Google search instead of text. For example, you might snap a device probably, a handset or laptop and search it on Google. The result of the search engine would be on the available details/information of the snapped product. Also, you snap a photo of a tourist attraction, and search it, the result will be out displaying the centre for the tourist, location and many more related information. To achieve the use of image for searching on Google search, make use of this visual search app known as Google Goggles. The app is an Android app that offers an official Google visual search experience. You can try it. With your phone camera, you can solve some mathematics problems, just with the help of an app called "photomath." 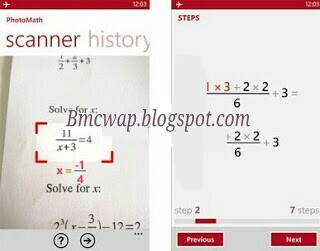 The app is good for students to use when solving any related maths problem. You can as well go for it. This also point at the use of Augmented reality which enables you to play its games through the use of your phone's camera. Have you played one of the most downloaded augmented reality game called "Droid shooting"? if you haven't, then you have to. The game is the type that turns any real-life background into a real life shooting war, as you fight with the waves coming to attack you in the game. This game Droid shooting uses your device camera and turns it to be a viewfinder or HUD which means (Heads-up-display) for its battlefield. The game entertains you as if the whole thing is real. Enjoy the game as your phone's camera delivers the service. Your phone's camera can be used to scan barcodes in order to get the information written on it, Since anything programmed into it, is always not visible for the naked eyes to see, but can only be known through the use of any barcode scanner app controlled by the camera. If you are using whatsapp web on your PC, you must have come across the point where you will be asked to scan your barcode, in order for you to access and use your whatsapp chat on PC. You can also find barcorde scanner in UC browsers. 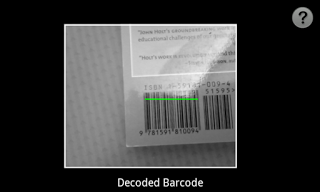 So, whenever you have any multiple lines of marks just inform of several straight lines together, just use your barcode scanner app or UC Browser to scan the lines. Note, once you are scanning the camera will be active in work. You can use your phones front camera as a mirror, whenever you want to check your face. This is mostly used by the ladies when applying make ups on their face. You can set your device to face recognition password, and for you to do that, your phones camera is needed. Without your phones camera, you can't achieve locking your smartphone with your face. With your phones camera, you can be able to detect if your TV or Decoder Remote is still good or damaged. How to check whether your TV or decoder remote is good or bad, Get your remotes and point it towards the back camera of your phone, while you put on your phone camera. Then, on the remote press any button or key having that it is pointed towards the camera. Now, as you are pressing the key or button right from the remote, also look at your camera and check if you would see a red light from the remote pointer. Once you see any red light, it means the remote is good and if you don't see, have it that the remote is not good or faulty. This very red light from the remote shows because, the camera lens detects infrared beams as it was built. Are you the type that is lazy in writing not in the lecture hall, you can as well use your camera to snap all your friends note. Have you done this before? Many as I know is into this already. Students always go for things that makes life simple and easier for them. 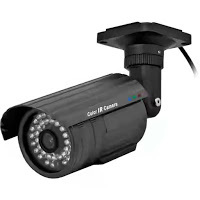 Your phone camera can detect hidden CCTV spy cameras in some places like hotel etc If you want to detect if there are CCTV camera in any room you are launching in any hotel or any place at all, just put on your camera and face it at any where, then snap, this works better in a dark room. 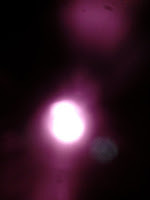 Once you snap, view the picture on your phone, if you should find signs of rays of light, on the picture, then have it that, there is camera in that room. that's all for that. I know with this post, your eyes are now open to all that your phone camera can do apart from snapping selfie pictures. Share this post with friends using the share buttons below. Thanks.